Laughter Yoga is a form of exercise based on the philosophy of ‘acting happiness’. It is a life changing form of an exercise which anybody can do. Laughter yoga is body-mind approach to laughter. It was first developed in India by an Indian physician. Now laughter yoga has become popular worldwide with an estimation of 6000 laughter clubs in 60 countries. We all face stress in our daily lives and laughter yoga is best medicine to wind down the contradictory effects of stress and negative thoughts. Laughter yoga is not a mental process. In order to practice laughter yoga one need not depend on jokes or humor. Laughter is universal language which also builds good communication and enhances inter-personal relations. Scientists have proved that even when we laugh in contemplation of laughing our bodies will get the same health benefit which it would get from a hearty laughter. Laughter yoga has got world of health benefits, it makes it easier to cope with life and its challenges. Laughter is the only moment where we can experience happiness. People who doesn’t laugh often are the ones who worry more than the ones who laugh often. People who laugh often make there life easy going and less serious. They develop the ability to tolerate even intolerable situations. Laughter also helps us to stay miles away from fear and anger. 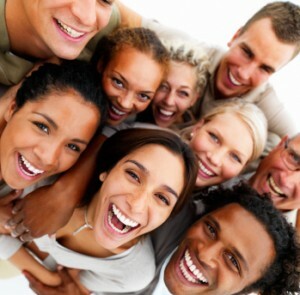 Laughter releases these negative emotions and helps us to ease our relations with others. Laughter makes us feel repose as it releases happy hormones called Endorphins; and it is also a cure for depression. It makes us feel good about life. Laughter also builds self confidence as it eases much of our awkwardness. Laughter also helps us develop a positive perspective towards every situation which may be of serious/negative nature. Laughter Yoga is also an approach to unmitigated love. Laughter boosts good communication among people and hence leaves no room for conflicts. Play with toys, walk in the rain and the list goes no and on! So laugh as often as you breathe and love as long as you live! So loosen up, move out of your comfort zone and laugh for no reason! Water demands No reason To Flow A Child demands No Reason To Be Happy "Why Do We Need A Reason To Laugh?" "Laugh For No Reason"